Customers enter a Huawei Technologies store in Beijing, January 29, 2019. The unsealing of two indictments by federal prosecutors on Monday against Huawei for bank fraud, sanctions violations, and theft of trade secrets suggests there is no turning back for Washington and Beijing in the conflict over the future of 5G. The two sides will struggle to manage the inevitable tensions that will come if and when Huawei’s CFO Meng Wanzhou is extradited from Canada. But even if cooler heads prevail over the appearance of Meng in a U.S. court, the argument that the United States has used with its friends and allies on why they should block Huawei from their own networks leaves no room for compromise. Without providing any evidence that Huawei equipment has backdoors or been tampered with, U.S. officials have warned that allowing the company to be involved in the build-out of 5G networks raises unmanageable security risks because of the nature of the technology and the relationship between the Chinese Communist Party and technology companies. There will be huge amounts of data on 5G networks, both in the core and the periphery, and the equipment supplier will need to update software almost continuously, creating vulnerabilities not present in third and fourth generation networks. This means the buyer has to trust the supplier, and officials have argued that this is impossible when the supplier is a company that comes from a system where the Party can demand that firms follow its political needs over their own economic interests. These structural issues cannot be addressed with third-party inspections or greater transparency. This breaking of the 5G ecosystem into competing spheres of influence raises two questions. First, what will the impact be on the pace of innovation? In the short-term, at least, it is likely to slow the deployment of 5G in the United States. High-tech companies, including Qualcomm, Intel, and Apple, have argued that the trade dispute could slow down the development of 5G in the United States. Longer-term, the conflict is already spurring greater government support for science and technology from both Washington and Beijing. The perfect storm is brewing in Washington and Beijing. The Trump administration has launched a campaign to confront China over IP theft, cyber economic espionage, technology transfer, and market access. These are challenges that have vexed U.S. policymakers and the business community for years, but now there is a whole-of-government approach: a strengthened Committee on Foreign Investment in the United States (CFIUS) review process combined with a new export control regime to restrict transfers of emerging technologies to China. A new Justice Department initiative gives law enforcement a green light to aggressively pursue criminal cases involving Chinese companies or individuals. The case of Fujian Jinhua marked a new U.S. strategy in which IP theft becomes a national security risk when it involves technology in the U.S. defense industrial base. The controversial Bloomberg hack story from the fall fueled sentiment that U.S. companies should unwind supply chains with China. Washington is pressuring allies and partners around the world to ban Huawei from 5G networks. We may be headed toward what looks like a “Digital Iron Curtain” in 2019, where governments around the world face a choice between doing business with China or with the United States. Even if Meng were released or a superficial trade deal reached, it is not likely that there will be a change of course. The facts matter because the stakes of confrontation between the United States and China are so high. There are steep costs to decoupling given the integrated nature of technology, research, and manufacturing around the world. Losing visibility into Chinese developments in artificial intelligence and other emerging technologies, and especially China’s plans to write standards for AI safety and ethics, would be even more dangerous to U.S. interests. The Huawei case raises the basic truth that Chinese low-cost manufacturing and assembly has been central to the global success of American tech companies. The global rollout of devices like the iPhone has been supported by the massive manufacturing output of companies like Huawei. 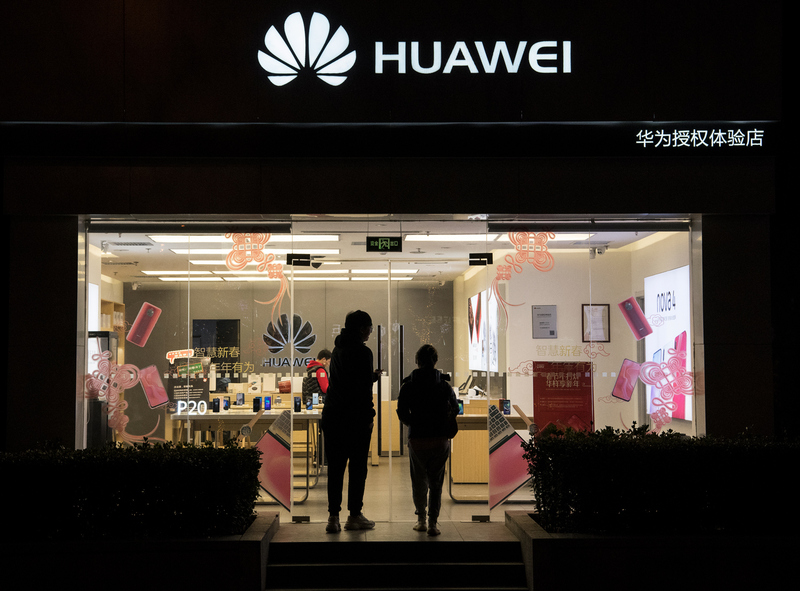 From the perspective of the developing world, the current conflict between the U.S. government and Huawei has as much to do with development as it does security. For example, several tech commentators in South Africa have characterized the conflict as a U.S. attempt to claw back market share from a developing world competitor that has managed to make components that work, for cheaper. Huawei’s combination of low prices and high quality has made it a favorite in Africa, not least because both Huawei and ZTE are favored implementation partners in projects funded by Chinese state lenders. Huawei has reportedly built at least 50 3G networks in 36 countries and has implemented 70 percent of the continent’s 4G networks. Huawei, ZTE, and other Chinese tech companies are involved in everything from new undersea Internet cables and national data networks to selling millions of mobile phones to Africans—a market long ignored by American tech giants. If the tech Cold War comes down to a choice between the Chinese and American Internets, Africa’s choice has been made—at least in terms of hardware. Africa’s current Internet boom is in significant part due to Chinese components and funding. As Huawei is frozen out of markets in the developed world, it might well find warm reception in Africa. This is not necessarily because Africans don’t care about surveillance, but because for a younger generation development trumps other concerns. After all, despite the new BUILD act, neither the Trump administration nor U.S. tech giants are falling over themselves to fund or build networks across Africa. Young Africans are hungry for connectivity, and Huawei is willing to connect them. This doesn’t mean that Africa is indifferent to security breaches and surveillance. However, from the perspective of the developing world, the difference between the West and China is maybe not as clear cut. While there are indications that authoritarian African governments are importing Chinese tech for surveillance purposes, Human Rights Watch has implicated both Western and Chinese firms in facilitating Ethiopian surveillance as far back as 2014. This is exacerbated by the increasing blurring of the border between tech capitalism and national security on both sides of the Pacific. David Samuels recently pointed out in Wired that while China’s surveillance state and its social credit system seem dystopian by Western standards, Western consumers undergo similar levels of commercial surveillance by tech companies, and that the traditional border between the commercial tech world and the government’s security apparatus is rapidly shrinking in the United States. None of Huawei’s recent troubles should be surprising to those familiar with the company’s history, which have been dogged by controversy, including apparent corrupt practices and connection to incidents of hacking. But the details of the indictments are startling nonetheless. Given the relative impunity Huawei has enjoyed and the brazenness of its behavior, these charges and indictments are entirely fair for the U.S. to pursue. However, the timing for these actions has raised concerns of politicization. The Chinese government, for instance, has characterized these charges as “unreasonable suppression” of the company. The concerns should also extend far beyond Huawei itself to deeper systemic challenges. These are not unique to Huawei but involve the legal and extralegal demands that all Chinese companies must face. In particular, China’s National Intelligence Law declares, “any organization or citizen shall support, assist in and cooperate in national intelligence work,” as well as conceal intelligence activities of which they are aware. This legal coating might even be considered superfluous, given the many other opaque mechanisms through which the Party exerts control. Huawei’s founder, Ren Zhengfei, has denied that he has received requests to share “improper information” and has claimed his company “would not answer to such requests.” Although his apparent commitment to his clients is laudable, it may also be irrelevant. There are reasons to be quite skeptical (at the least) that Huawei would be able to resist such a demand. The Party has made it clear that tech companies, no matter how successful and entrepreneurial, will remain subject to Party control. The criticisms of decisions to ban Huawei often point out that there is no “smoking gun” or evidence that incontrovertibly demonstrates that Huawei is “guilty” of a specific offense. But unlike the specific allegations of fraud against Meng, this is not a legal issue but rather a question of risk calculus that must be informed by the fact that Chinese President Xi Jinping has declared quite explicitly: “The Party leads everything.” Evaluations of risk are inextricable from geopolitical considerations. There will be costs to excluding Huawei, including slowing the deployment and increasing the costliness of 5G. However, despite all the talk of a “race” for 5G, security and resilience may matter much more in the long term than speed. The U.S. government is right to anticipate and evaluate the potential negative externalities from Huawei’s aspirations of dominance in 5G, but the same concerns are equally applicable to any number of Chinese companies that have operated in the U.S. and globally with less scrutiny—and infamy—to date. Some criticisms of the U.S.’s multi-pronged attack on Huawei do seem valid. The evidence of Huawei equipment being used to spy for Beijing is shaky, and Trump’s apparent willingness to use Meng Wanzhou as a trade chip is at best an idiotic misstep, and at worst a gross violation of the rule of law. But, on a number of different levels, the campaign against Huawei makes sense. In the intensifying battle between the U.S. and China over cybersecurity, 5G, and global tech supremacy, Huawei is a key piece on the chessboard. Counter to the expectations of many Americans and their allies, over the better part of the past decade, the Chinese Communist Party has seemed to move towards greater authoritarianism, more brutal tactics of repression, and a society, economy, and Internet that are increasingly cut off from the rest of the world. Even as it closes itself off internally, China is expanding its global presence and encouraging its companies to expand abroad. Rather than integrating itself with the U.S.-led global community, China seems intent on going its own direction, setting up a conflict over the interests and values that are to govern the global order. The company’s intense and highly opaque “wolf culture” also breeds mistrust both within the company and with the public. The laser-like focus on achieving a goal by any means necessary is credited as a reason for the company’s success, but can also seem to encourage disregard for the law. Overseas, Huawei has long faced complaints of labor law violations, corruption, and IP theft. The U.S. indictment’s claim that the company had a formal program offering rewards to employees who stole intellectual property only compounds long-circulating rumors. Whether Huawei is guilty as charged is for U.S. authorities to decide. But the Huawei story feeds into the larger debate over the global race for 5G development and related security concerns. It shows that the boundary between business and politics has become increasingly blurred. This holds true not only for China, but also for the West, where discussion about the appropriate scope of industrial policy intervention has gained momentum. Corporate actions are being politicized, companies become bargaining chips in diplomatic skirmishes, and technologies are being securitized. The Huawei case represents a test case for how liberal market economies may handle the systemic competition with China’s politico-economic model. The complexity of the issue is also visible in Europe, where the E.U. position on China is about to take a critical turn. The European Commission is currently considering banning the use of 5G equipment provided by companies from countries that are suspected of espionage. Similar to the Australian approach, such country-of-origin limitations would mean a de facto ban of Huawei equipment from the development of Europe’s 5G networks. Regardless of any concerted actions at the E.U. level, several European countries have already become suspicious of the Chinese telecoms giant. The Polish government is determined to exclude Huawei, the decision of the U.K. is due next month, and Norway’s intelligence service has just issued a warning about the company. Meanwhile, Deutsche Telekom—one of Europe’s largest telecoms operators—disagrees with the call of German security authorities to develop the 5G networks without the participation of Huawei. The company warns that excluding the Chinese vendor could defer the roll-out of 5G by at least two years. The trade-off between national security interests and tech availability is especially difficult because of the deep inroads Huawei has already made in Europe’s telecommunications infrastructure (see, for example, the build-up of WiFi in Prague and Huawei’s hub in Hungary). Concerns over the dependence on Huawei and a potential vendor lock-in cannot easily be dismissed. At present, it is simply not feasible to completely factor out the China component in the development of European telecommunication networks. As Europe gains a better understanding of the intricate relationship between the Party-state and business organizations in China, it needs to have an honest debate about the implications of (not) doing business with China. After all, politically imposed orders to stop doing business with Huawei represent a severe encroachment upon corporate autonomy. Should security concerns outweigh the business case, European tech companies must be given a chance to develop viable alternatives. Raising awareness at all levels of society is key to making additional costs that may arise from the exclusion of Chinese tech companies more acceptable. While such a ban would certainly impede the global advance of China’s corporate champions, it would also open up new business opportunities for European competitors that manage the transition well.